Want to know more about our recent projects? Keep reading! On this page, you’ll find out how our technicians plan and complete a range of jobs, from spring repairs and replacements to maintenance and garage door installations. Customer Issue: Needed opener installed. 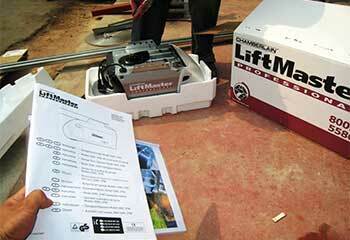 Our Solution: We made sure all the necessary components were in order such as lubricating the door's parts before putting together the LiftMaster 8500 opener itself. Afterward, we carefully mounted it onto the wall and connected it to the system. Customer Issue: Rollers needed replaced. 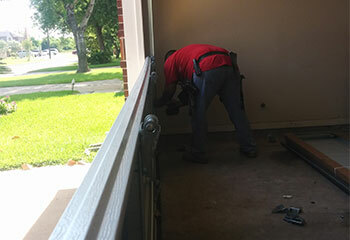 Our Solution: After disconnecting the door from the opener for safety, we carefully used pliers to open the track up a little in order to pry out the older rollers and get them replaced with brand-new ones. We then tested to ensure it worked. 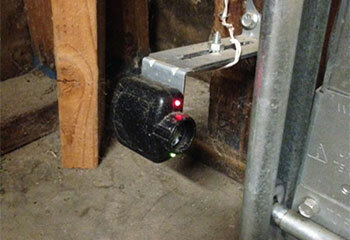 Customer Issue: One of this client’s sensors moved out of position affecting the functionality of the door. Our Solution: After cutting the power, we unscrewed the misaligned sensor and moved it until was in the correct position and properly aligned with the opposite sensor. Customer Issue: Client wanted double garage doors fitted. Our Solution: We installed double Clopay doors from their Canyon Ridge Collection. 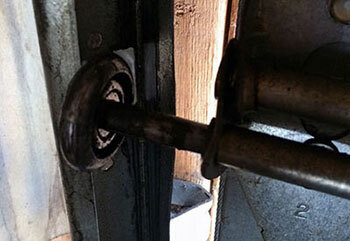 Customer Issue: The outdated opener that the client had did not have a safety reverse feature. 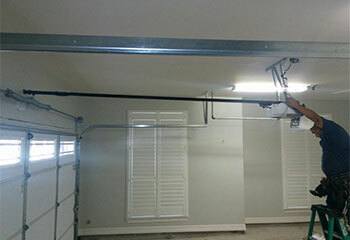 Our Solution: We installed a brand-new Chamberlain PD762EV chain drive opener.